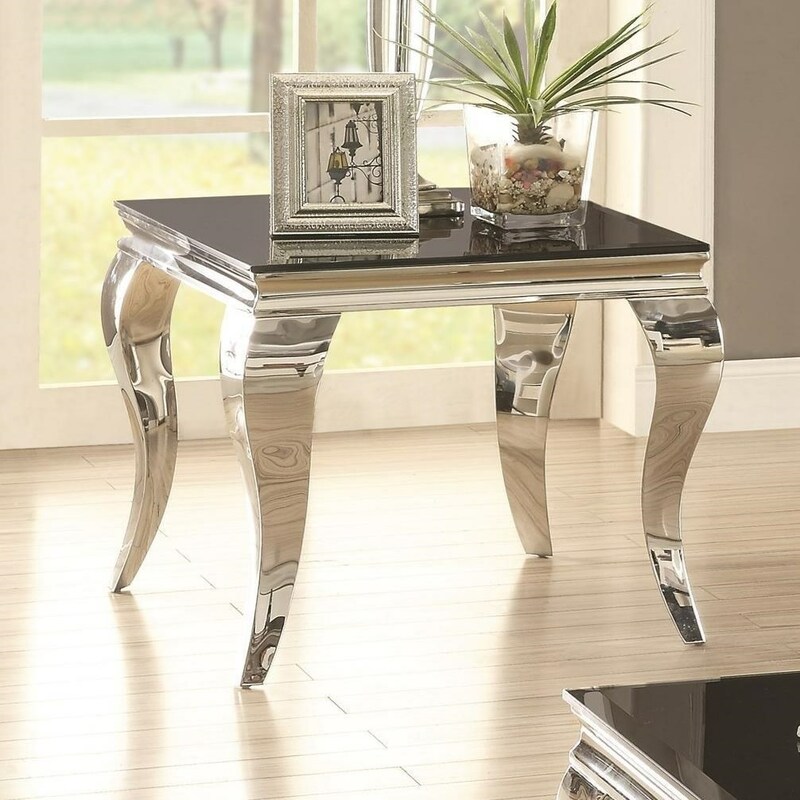 With chrome Queen Anne legs and a black glass table top, this sleek end table will be a great contemporary update to your home. The graceful curving legs perfectly compliment the square corners of the darker table top. The 705010 Glam End Table with Queen Anne Legs by Coaster at Rife's Home Furniture in the Eugene, Springfield, Albany, Coos Bay, Corvallis, Roseburg, Oregon area. Product availability may vary. Contact us for the most current availability on this product. 705017B1 Table Glass 1 0" 0" 0"
705017B3 Table Base 1 0" 0" 0"
705017B2 Table Frame 1 0" 0" 0"